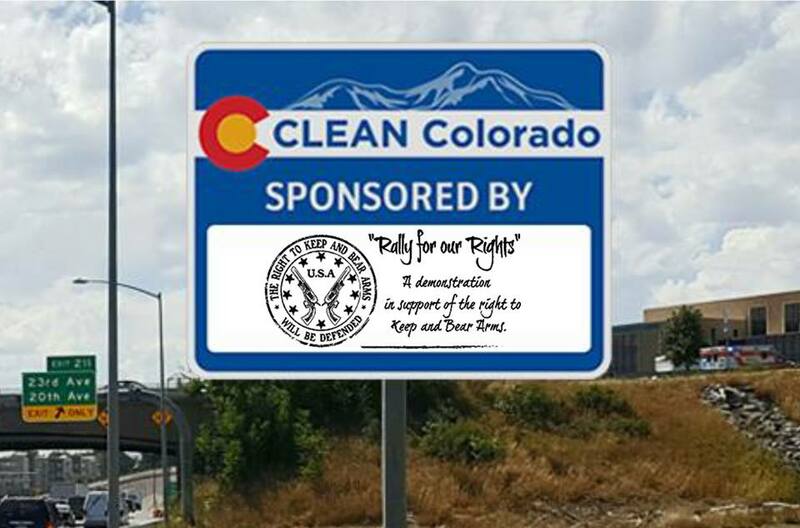 Rally for our Rights has adopted a stretch of highway just outside of Longmont! We will be maintaining a couple miles on west Hwy 66 near Airport Rd. We will have a road sign put up in approx 3 months. Our first clean up will be on Saturday, Aug 25th. We will work from 9am til 12pm. Snacks, water, and all the needed supplies will be provided! A lunch will be hosted immediately after at a nearby home (address will be provided then). Dress accordingly and come armed if you’d like! Open carry is legal in Longmont! Meet the crew near the intersection of Hwy 66 and Airport Rd (use this address for GPS needs: 2425 Airport Rd, Longmont, CO 80503).